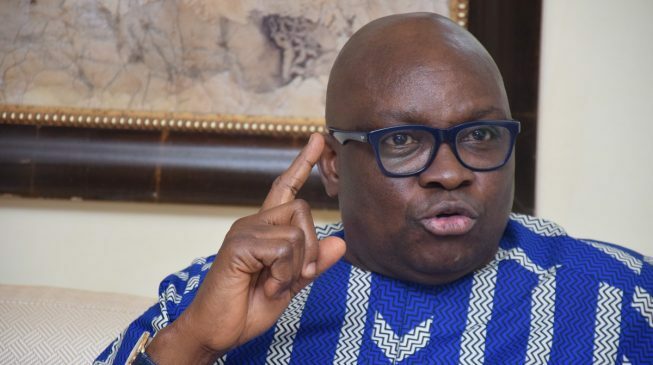 Fayose on his Twitter page wrote: â€œI have two questions for EFCC, this government said it was ready to try the former SGF, Babachir Lawal, are they waiting to aid him to travel abroad too? â€œIf they claimed Ex-NIA boss, Oke and his wife escaped abroad, has the former SGF escaped too? Meanwhile, DAILY POST reported that the Federal High Court in Lagos ordered the arrest of former National Intelligence Agency (NIA) Director-General, Ambassador Ayodele Oke and his wife, Folasade. According to him, efforts to reach them by the EFCC proved abortive as calls to their phones rang out.